Nikolay Davydenko announced his retirement from tennis at the age of 33. 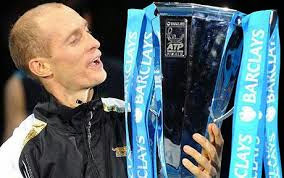 Davydenko, a former world number three, acknowledged his frequent struggles with injuries had forced him to end his playing career after 15 years. “I am 33 years old,” began the Russian. “I won 21 ATP World Tour tournaments, including three ATP World Tour Masters 1000 tournaments, and the Barclays ATP World Tour Finals in London. I don’t have any regrets about not winning a Grand Slam or not being No. 1 in the world. I was in the Top 10 for some years. 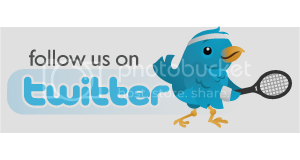 “Unfortunately, for some years now, I have been struggling with injuries. It’s hard for me to talk about it. I have been thinking when to announce it. The time has come. I have my whole life to live. I officially announce my retirement from professional tennis. 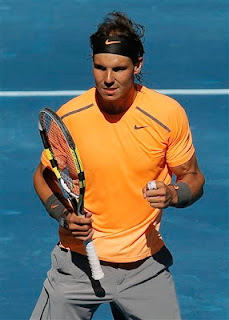 Rafael Nadal scored a 6-2 6-2 win over Nikolay Davydenko to advance to the third round at the Madrid Open 2012. Nadal looked totally at home and confortable playing on the new blue clay court at the Caja Magica. He broke early and never looked back. His movement was slick and assured, allowing him to hit with authority on both wings. After winning the opening set with any problems he got a break at the start of the second. Davydenko never had any chance against the former world number 1, who sealed the win with a booming forehand. "I played as well as I can," said Nadal. "I played a very good match. I think that I played a really good match as it was my first match here in these circumstances. I am very happy about my result, about the way that I played." Robert Farah upset Nikolay Davydenko 6-3, 6-2 in the opening round of the BMW Open. The defending champion Russian, who also won the tournament in 2004, dropped serve four times. Mikhail Youzhny edged out Philipp Petzschner 7-5, 7-5, and Marcos Baghdatis outlasted Tobias Kamke 6-1, 3-6, 6-3. Baghdatis broke serve four times and saved six of eight break points to advance in a tournament he has twice been a semifinalist. Also advancing were Sergiy Stakhovsky, Ernests Gulbis, Dustin Brown, Matthias Bachinger, Potito Starace, Tommy Haas and Marinko Matosevic. Thomaz Bellucci got a walkover into the fourth round at Indian Wells when Nikolay Davydenko withdrew from their match due to illness. It was not certain whether Davydenko had succumbed to the viral infection which has already forced eight players to pull out of Indian Wells. Bellucci will next play the winner of the match between Roger Federer and Milos Raonic. Albano Olivetti stunned Mardy Fish 6-3, 3-6, 6-3 in the second round of the Open 13. Fish rallied from a 3-1 deficit in the second set to level the match. But Olivetti jumped out to a 3-0 lead in the decider and kept his composure to earn the biggest victory of his young career. “That’s just a number next to his name right now,” Fish said of Olivetti’s ranking. “He won’t be there for very long if he continues to play like that. Nikolay Davydenko scored a 6-1, 7-5 win over of Germany to reach the second round of the Open 13 where he will meet Juan Martin del Potro. Davydenko broke Beck’s serve three times in the match and never faced a break point. In other first-round matches, Nicolas Mahut, Albano Olivetti, and Igor Kunitsyn advanced in straight sets. David Goffin led 6-2, 1-0 against Adrian Mannarino when the Frenchman retired. Mahut had 12 aces in a 6-3, 6-4 win over Arnaud Clement. He’ll play Jo-Wilfried Tsonga, in the second round. Roger Federer battled past Nikolay Davydenko 4-6 6-3 6-4 to reach 2012 Rotterdam final. Federer will now play Juan Martin Del Potro, who brushed aside Tomas Berdych 6-3 6-1. The Swiss recovered after losing the first set having been broken in the ninth game and early in the second set. Roger Federer beat Jarkko Nieminen 7-5, 7-6(2) in the quarterfinals of the 2012 ABN AMRO World Tennis Tournament in Rotterdam. In the semis, Federer will face Nikolay Davydenko. "We both did really well on our on service games, which made it difficult on the return," assessed Federer. "But I played a good breaker." The Swiss did not face a break point and won 86 per cent of his first serve points, firing eight aces. He took command of the second set tie-break to seal the win after one hour and 31 minutes of play. "It was good to have a tough match today because I got a walkover in the second round," said Federer. "I have to give Jarrko credit too. 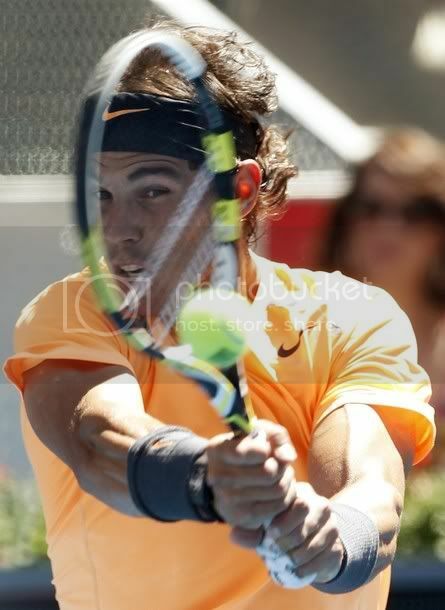 He played aggressive on both the forehand and backhand." Richard Gasquet scored a 6-3, 6-4 win over Nikolay Davydenko to reach the Open Sud de France quarterfinals. Gasquet was able to break his opponent three times. Davydenko led 40-15 on serve in the 10th game of the second set, but Gasquet took a forehand early to pass Davydenko, who next hit an unforced error and watched as Gasquet dispatched a volley to get to his first match point. Roger Federer crushed Nikolay Davydenko 62 62 in the first round of the Qatar Open. Federer broke Davydenko in the opening game of the match and romped to victory in the first set without facing a break point. In the second set was Davydenko saved a match point on his own serve at 1-5 before playing a drop shot to clinch the game, but that only delayed the inevitable as Federer claimed the win with easy. Roger will now face Slovenian qualifier Grega Zemlja in the second round. “I played agressively, served well and had good movement,” Federer said in a courtside interview. David Ferrer defeated Nikolay Davydenko 6-3, 6-4 to advance to the semifinals of the Valencia Open. The defending champion used a combination of speed and deep ground strokes to force Davydenko into costly errors throughout that match. Ferrer won the first set as Davydenko struggled with his serve early, committing four double faults and repeatedly volleying long. Ferrer broke the former world No. 3 in the fifth game of the second set before saving a late break point to ensure the victory on the indoor hard court. Nikolay Davydenko upset Gilles Simon 6-4, 4-6, 6-3 in the first round of the Valencia Open. Davydenko hit a forehand winner to go up a break at 2-1 in the deciding set and used a drop shot to save a break point in the sixth game. It was the Russian’s second win in seven career meetings against the 12th-ranked Simon. For the ATP finals, Simon trails Mardy Fish by 720 points with only the Paris Masters to play before the season-ending tour finals in London. The top eight qualify for the Nov. 20-27 tournament in London. Novak Djokovic defeated Nikolay Davydenko 6-4, 6-4, 6-2 to reach the fourth round of the U.S. Open. Djokovic is trying to win his third Grand Slam championship of the year and fourth of his career. He’s seeking his first title at Flushing Meadows, where he was the runner-up in 2007 and last year. 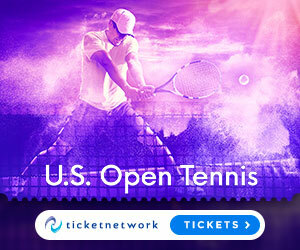 Davydenko is a four-time major semifinalist, including twice at the U.S. Open, but he wasn’t able to provide too much resistance against Djokovic on Saturday. Novak Djokovic defeated Nikolay Davydenko 7-5, 6-1 in the second round at the Rogers Cup in Montreal. Playing his first match since winning Wimbledon and ascending to No. 1 in ATP Rankings, Djokovic looked in danger as he fell behind 1-4 in the opening set. The Serb started to find his game while Davydenko was unable to maintain his advantage. Djokovic made it to 4-all and broke the Russian for a third time to win the opening set. The world number 1 stormed past his opponent in the second set and will next play the winner of the match between Juan Martin del Potro and Marin Cilic. Jurgen Melzer suffered a 6-4, 7-5 loss to Santiago Giraldo while Nikolay Davydenko was upset by Cedrik-Marcel Stebe 3-6, 6-1, 6-4 in the first-round at the MercedesCup, in Stuttgart. Davydenko 3-0 in the deciding set before he pinned back his opponent, who eventually won the encounter in just over two hours. Federico Del Bonis, ranked 249th in the ATP rankings, knocked out No. 5 seed Florian Mayer 6-2, 6-3. Mayer was unable to convert his five break point chances, while Del Bonis capitalised on three of his six. Mikhail Youzhny defeated Philipp Petzschner 6-3, 6-3. In the next round he will face Juan Carlos Ferrero. “It could be very tough match for second round here, but I cannot do anything so I hope it will be tough for both players, not only for me,” he added. Ferrero beat Bastian Knittel 6-2, 6-4 in 83 minutes. Lukasz Kubot converted all three break point opportunities to defeate Daniel Gimeno-Traver 7-6(2), 3-6, 6-2. Nikolay Davydenko defeated Florian Mayer 6-3, 3-6, 6-1 to win the BMW Open title in Munich. Davydenko had to save a pair of break points to serve out the first set. Mayer got an early break i the second set and kept the lead to send the match into the decider. In the third set, Davydenko broke serve for a decisive 2-0 lead in the final set and cruised to his 21st title. “Nikolay deserved to win,” said Mayer, who had never won a match in three previous events on Munich’s red clay.